Summer jazz camp has been and gone for 2019. Thanks to all the terrific campers and staff who were part of it. We hope you enjoyed it and learnt lots. The next Summer Jazz Camp is January 6 – 10, 2020 at Naamaroo Conference Centre. Registration will open mid-July. The following details are about the 2019 camp but we’ll leave them here for your information. This page will be updated as details of the next camp are finalised. Winter Jazz Camp will be at JWA in St Leonards in the July school holidays for ages 8 – 16. Peter Farrar, saxophone. Photo Shane Rozario. Jazz Workshop Australia is proud to present Jazz Camp 2019, a five-day residential program for students ages 10 to 22 offering immersion in the wonderful world of jazz. It is for instrumentalists (including string players) and singers at all levels of experience from beginner to advanced to emerging professionals. 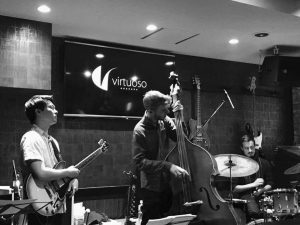 For over 40 this has been an institution among talented and motivated young jazz musicians in Australia. Click here to see photos of the 2015 Jazz Camp or click here to see photos of more recent camps (on our Facebook page). Jazz Camp has played a significant role in the lives of aspiring young musicians for over three decades. 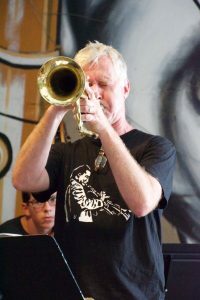 Described by many students as a major “turning point” in their playing, the Jazz Camp experience is about discovering the real joy in self expression through music. – John Morrison. We suggest students have at least two to three years experience on their instrument or around grade 2 – 3 level to get the most out of Jazz Camp. The camp is suitable for any instrument, including string players, as well as vocalists. We recommend this camp to young musicians who are interested in jazz, because that is the focus of the week. This is quite a large camp, with 100 students from all over Australia and some international students too. Everyone spends time working both in groups of their own level and age-group, and some time in mixed groups. Accommodation is by age-group and gender in rooms of 4 – 12. The camp is big enough that campers can be with their own peer groups within the camp but there are also enough combined activities to ensure no one is with exactly the same small group the whole time. It is a very welcoming and friendly environment. Older campers and staff are very supportive of younger students and each other. 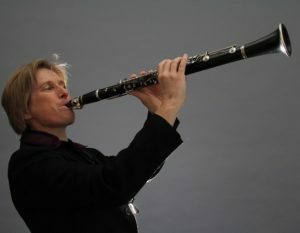 Musicians are carefully placed in groups appropriate to their level of playing and improvising experience. There are also daily elective classes to choose from. In 2018 electives included choir, Latin jazz, soul jazz, advanced big band, composition, games, introduction to jazz theory, jazz funk, smart phone photography, and more. The venue for 2019 is Naamaroo Conference Centre in the Sydney suburb of Chatswood West. It is in a picturesque bushland setting in the Lane Cove River National Park. It is also just minutes from the city only half an hour from the airport by taxi and accessible by public transport. We bring together a world-class team of expert tutors under the leadership of acclaimed jazz educators John Morrison and Saul Richardson. 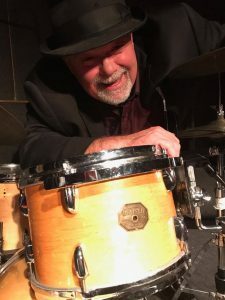 John is a drummer, band leader, entertainer, teacher and director of the annual Big Band Blast festival in Port Macquarie. 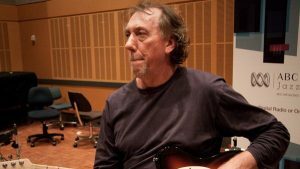 Saul Richardson is a guitarist, electric bassist, composer, co-founder of Jazz Workshop Australia, and chief conductor of the Sydney Youth Jazz Orchestras. Together the faculty bring decades of experience to create one of the world’s great Jazz Camp experiences. 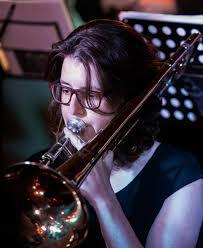 For any student serious about learning to play jazz, achieving new heights of excellence, and having a great time, then Jazz Camp is the place. Singers work intensively with expert vocal coach Jacki Cooper through a specially designed program. 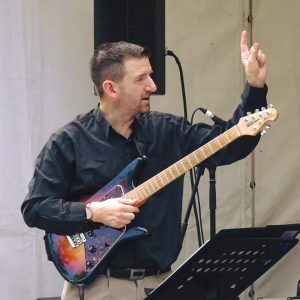 More advanced vocalists have the opportunity to learn improvisation techniques and to work with a small jazz ensemble. All singers get the chance to sing with a big band. An important feature of Jazz Camp are nightly concerts by leading professional groups. We aim to provide a varied program giving the students the chance to see, and meet, bands of different styles, small and large. 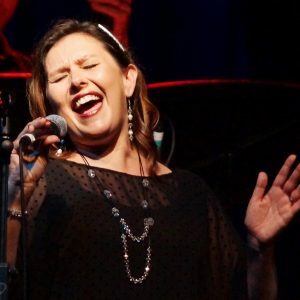 Evening concerts for JWA Jazz Camp 2019: Sandy Evans trio, Emma Pask band, Funk Engine, and the Jazz Camp faculty band. Concerts are exclusively for JWA Jazz Camp students and are not open to the public. Electives (including soul jazz, choir, advanced big band, Latin jazz, fusion, games & more). Start Time, Monday January 7: Check-In on day 1 is from 8:45 am until 9:30 am. Campers flying or driving from far away can arrive later if they need to, just let us know what time. End Time, Friday January 11: The end-of-camp festival performances will end by 4:30 pm followed by scholarship presentations. Everything will be done by 4:45 pm. Electives: On days two and three of the camp students choose elective activities. For 2019 these include: soul jazz; jazz/gospel vocal group; drumming for non-drummers; jazz fusion; introduction to jazz theory; composition; Latin jazz; and games/a break from music, and Synthesizers in Creative Music: an introduction. You choose these when registering. People who register early will get their first choice of elective. Please see here for details of each elective. The camp will culminate in a festival-style concert at the camp venue, Naamaroo, in the afternoon of Friday 11 January, about 2:00pm. Parents and friends are welcome. Entry is free. The camp will end at 4:45pm. Accommodation for students is in cabins of 4 – 12, almost all now with en suite facilities. Boys and girls are in separate cabins and students are generally grouped by age. Supervising staff are in rooms adjacent to student cabins and are onsite 24 hours. It is very important to us that all students at Jazz Camp are well supervised, well looked after, happy, and safe. The counsellor to student ratio is about 1:16 with male and female staff. Including the teaching faculty the total staff-to-student ratio at Jazz Camp is better than 1:8. The counselling staff all have current Working With Children certification. One of the counselling staff is a professional nurse and most are qualified first-aiders. The catering staff at Naamaroo are very experienced in providing meals for school camps. They can easily prepare meals to cater for any allergy or special dietary needs. If your child has special requirements you’ll need to tell us on the registration form, giving details, and contact the Naamaroo kitchen prior to the camp. Naamaroo adds an $11/day surcharge for special meals other than vegetarian. We’ll give you all the information you in plenty of time need before the camp. “We just wanted to email you to say THANKS !! and a huge congratulations on running such a wonderful camp last week. We had both our sons there and they were suffering withdrawal symptoms the next day – always a good sign !! They truly loved it, with our eldest keen to come home and get into the Real Books big time. We are so appreciative of all your hard work, for the great team of tutors etc that were there, and for creating an environement where creativity and musicality were so encouraged. J. and B. Allan – parents of J. (guitar) and C. (bass). Ready to enrol? Online registration and payment are now open. After November 15 it costs more to register | no bookings after December 4 or when the camp is full. Price: TBC. In 2019 the cost was $895. A discount is available for siblings booking together: $20 off the second and third sibling. There is a 2.8% surcharge on Paypal/credit card bookings. Bookings close either December 5 or when the camp is full, whichever comes first. Sorry, this camp is full. 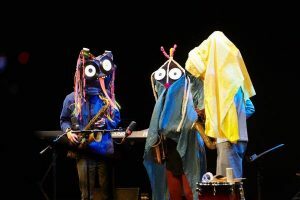 Registration for Summer Jazz Camp 2020 will open mid-July. BSB: 112 879 Account: 421 350 375. Jazz Workshop Australia Pty Ltd. You can only transfer to this account online. If you pay this way, be certain to include the student’s name in the transfer details (otherwise we have no way of knowing who the payment is from). To pay in a bank branch you’ll need a different number: Click this link for in branch deposits. Places will be limited, so book early to guarantee your place. A number of scholarships are available. These are donated by Jazz Workshop Australia as well as through the generosity of the Waugh family and Jan Dilworth. They are awarded to students at the camp as encouragement and/or recognition of outstanding musical ability and attitude. The former financial assistance scholarship has been discontinued in favour of other, more equitable programs. At the final concert two scholarships will be awarded to selected students. These are a half return scholarships and the Sarah Waugh Return Scholarship. In past years students have approached local service organisations etc directly to seek sponsorship. Such groups sometimes have a budget to support young people in worthwhile educational ventures such as Jazz Camp. Click here for the Jazz Camp terms and conditions. The venue is Naamaroo Conference Centre, Lady Game Drive, Chatswood West. You can get there by car, bus, or taxi. You could also get a train to Chatswood or North Ryde and then a bus or taxi. Taxi: it is about 25-30 minutes by taxi from Sydney Airport. Taxis leave from right outside the baggage claim area. As many campers arrive at around the same time, it is often possible to share a taxi. This can be coordinated in the days before the camp. Uber can be hard to get at the airport, but would certainly be cheaper. Airport Shuttles: There are shuttles from Sydney domestic and international airports. You need to search for a shuttle that services the north shore. Public Transport: There are buses that stop near the corner of Lady Game Drive and Delhi Rd. From there it is a 5-10 minute walk to Naamaroo. The nearest stations are Chatswood and North Ryde. It is possible to use public transport from the airport to Naamaroo, though it is a bit slow. Here is a helpful online trip planner: NSW Transport. Driving: The entrance is off Lady Game Drive near the Lane Cove National Park entry. Don’t go into the National Park. It is beautiful, but has no access to Naamaroo. If you can’t make it to camp, or just can’t wait until next year, why not do one of the Improvisation workshops every school holidays? Have a look at the rest of this website for details of other holiday activities or ensemble opportunities. At JWA, Jazz Camp is really on every day of the year!